41 Fairy PNG files with transparent backgrounds. The images above have been greatly reduced. Not all are shown. These Lil Spring Fae Tubes are full of Springtime sunshine. It’s springtime and these little fairies, in their flowery outfits, have come to share some sunshine. These adorable faes will make your fantasy designs stand out and will be great for all kinds of projects, including graphic design, web design, scrapbooks, tags, print projects, and much more. Some wings, flowers, and wands are included. 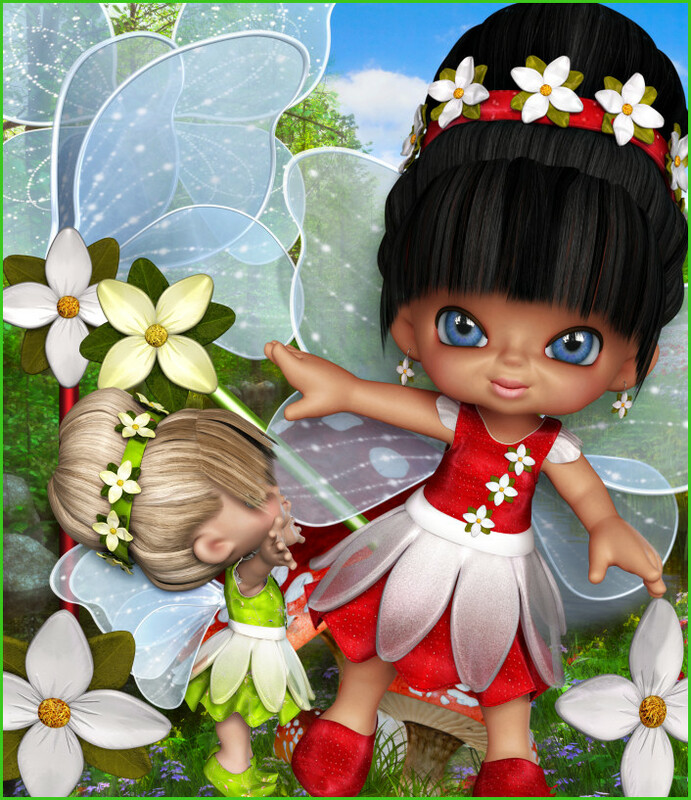 The backgrounds that I used in the promo images are from my Fairy Meadow Background package. There are 41 royalty free, high-quality clipart fantasy PSP images in this package. All of these images have transparent backgrounds making it easy for you to use them as tubes or nozzles–or merely to drop into your design. The size of these images varies, but they are approximately 1800 X 2000+ pixels. All are 300 DPI, making them great for print projects. Members can use the tubes for personal or commercial projects, including web design, template design, graphic design, t-shirt design, candy wrappers, scrapbooking, and for signature tags, but please read my terms. This package has been divided into three zip files which are about 10-36 MB each.